Humanity is on the path of raising consciousness to move to higher dimensions. Therefore the energies arriving from the Universe are supporting this amazing transformation. We have wonderful Divine helpers to assist us in this ascension process. 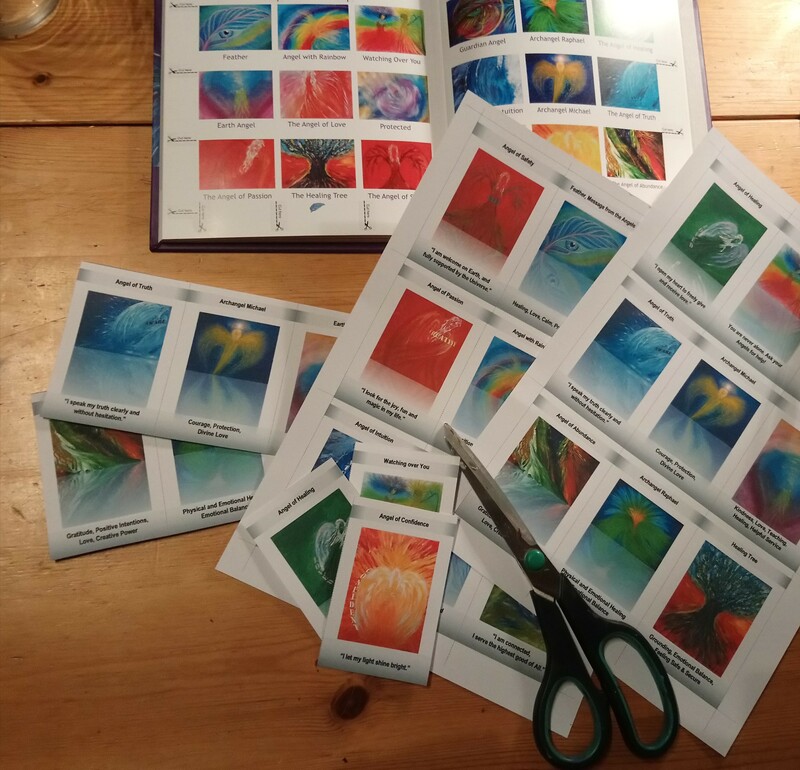 Eva connects easily with angels and she learnt a technique called psychic art to be able to decode energy messages arriving from the angels, so you can receive healing colour combinations and energy messages just by looking at her paintings. They are helping you to cope with these sometimes harsh energies that are pushing you to change. 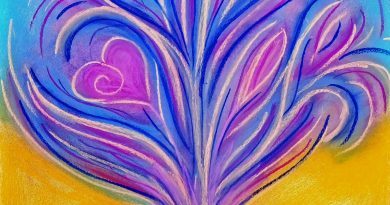 Through her high energy paintings, which affect your thoughts, emotions, even your physical body, the angels are gently guiding you to a more balanced and happier life. Have a look at the picture below to understand what happens inside your Mind, Body and Soul, when you are looking at Eva’s healing art. How Artworks Influence Your Energy Vibration? What to do with Eva’s High Energy Picture? Deepen and slow down your breathing. Simply look at the picture and let the colours flow off the paper and enter your being. 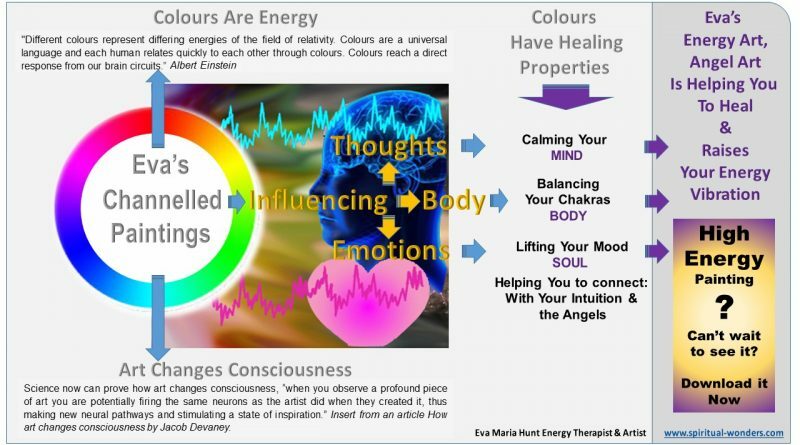 Enjoy the energising, balancing or calming effect of the colour energies. As the next step you can read the channelled message came with the picture, when Eva created it and contemplate on it. The picture you can download represents you. If you let go of the heavy weight of your past, you can expand into who you really are. All you need to do is to accept yourself as you are now, find your balance and open your heart to giving and receiving love. It enables you to spread your wings and fly. With a Bachelor’s degree in commercial economics and diplomas in alternative therapy Eva offers a unique mixture of healing tools, customised to her clients’ & customers’ needs. So wherever you are on the scale between sceptic and spiritual she can relate to it. 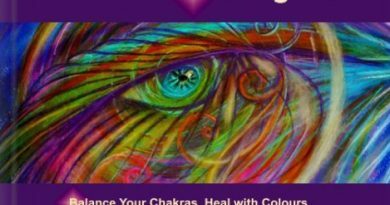 She has studied Reiki, Crystal healing, Colour therapy and Colour psychology, Qi gong for Health and Law of Attraction coaching along with Psychic Art. She has been designing jewellery for 25 years. Eva established her business, Spiritual Wonders in Oxfordshire, England, UK, after relocating from her native country, Hungary. 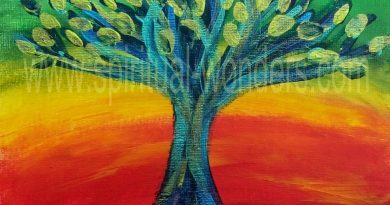 She is available for Skype coaching around the Globe, and her healing jewellery, art gifts and book is available to buy online.